The Lord will settle disputes among great nations. They will hammer their swords into plows and their spears into pruning knives. Nations will never again go to war, never prepare for battle again. Just prior to the time I graduated from the seminary the war in Vietnam was declared officially over and all troops were withdrawn. From 1962 some 60,000 Australian personnel had been involved in the war. Here in Australia the involvement of our troops in this war was controversial. The war was the cause of social and political dissent. Protest marches were held in major cities. Conscientious objectors, conscription dodgers and protesters were fined or jailed, while soldiers met a cool even hostile reception on their return home. When young men, most of who are conscripted into the army, are involved in a war there is a ripple effect throughout the community and the church. In one congregation I served there was a mother whose life was changed forever after the death of her son in Vietnam. In another a father spoke how his son went to war a free-spirited young man but returned angry, depressed and suicidal after witnessing and being a part of the atrocities of war. In fact, like many other young men returning from war, he was in bad shape. Involvement in war reshapes people and the world they live in. In ancient times the men and boys from all walks of life were involved, especially if the invader had a much larger force and loss of freedom seemed inevitable. These conscripts were mostly farmers and had no swords or spears so they reshaped their farm tools into weapons, like hammering a ploughshare into a sword or sharpening a pruning saw and tying it to a pole to make a spear. These farmers-come-soldiers were given quick training how to use what weapons they had effectively and how to form a battle line. Getting ready for war was a serious business. Freedom, homes and families, land and livelihoods depended on the strength of these men and the weapons they had created from farm tools. Farmers need to be the inventive type to make things to suit a particular job on the farm and no doubt they were able to create some quite terrible weapons from scythes, and sickles and pitch forks and the like. Getting ready was important. There was nothing worse than a weapon falling apart in the heat of battle. At this point I could deliver a great sermon using the analogy of getting ready for battle to describe the need to get ready for Christ’s coming at Christmas or at the end of time. But Isaiah has other things in mind. Today Isaiah talks about reshaping but the opposite of what is done to prepare for war. He is talking about weapons being turned into farm tools, about beating swords in ploughshares and soldiers going back to their farms. He talks about warring nations being reshaped into peace seeking nations who want harmony instead of power. Today we are entering the time of Advent and like Lent this is a wonderful time of preparation. As you know Advent consists of the four weeks leading up to Christmas and between now and Christmas we get involved in a whole flurry of activities that include an early celebrating of Christmas as we sing carols and attend Christmas and the end of year work and school parties. Of course there is everything that needs to be done to get ready for December 25th. These kinds of preparation are very much part of our life in this world and are necessary. But Advent (like Lent) also gives us a time to stop and look at how our lives are being shaped. What has really happened in our lives since the last Christmas? What has influenced us and shaped us during the past 12 months? Have we been making swords or ploughshares? Have we been involved in conflict, at the centre of a skirmish or have we made an all-out effort to be a peacemaker? How well have we let love rule over the times we have wanted to get back or stab someone in the back or have we given into the need to exercise power and control over others with slicing words and stabbing actions? What has been reshaping our lives – war or love? It’s easy for our lives to be shaped by aggression, power, revenge, striking back, betraying and putting down because we see it happening all around us all the time. Nations and people around us have shaped their lives and the lives of others by putting others down. In places of work and in homes there is a lot of living by the sword as people try to manipulate, attack and destroy seeking peace by force. It’s easy for us to use this as our model to achieve happiness, peace and security. Living by the sword is easy for us because that’s what our sinful heart wants us to do. Satan and sin want us to turn on one other when we are under attack and to return anger with more anger, replace forgiveness with hatred, walk away rather than seek reconciliation. What is shaping your life at this moment? What is in your heart at this time? What is the shape of your life, your relationships, your attitudes and interactions with others? You might say that this all a bit too heavy for this time of the year – the time when having fun, making merry and enjoying life are the focus of the next few weeks. I admit it is heavy stuff but also serious business as we prepare for Christmas. Advent is about realising why Jesus came to earth in the first place – because we have preferred war to peace. We need a forgiving Saviour. Advent is also about preparing for Jesus’ return and as Isaiah urges, "Let us walk in the light which the Lord gives us". In the second reading Paul is urging us to be ready for the day when Jesus returns by being the people God has made us to be through the death and resurrection of Jesus and the renewal of the Holy Spirit in our hearts and lives. He says, "Let us stop doing the things that belong to the dark, and let us take up weapons for fighting in the light. Let us conduct ourselves properly, as people who live in the light of day . … Stop paying attention to your sinful nature and satisfying its desires" (Romans 13:12,13). In his letters Paul has a catalogue of things that don’t belong to living in the light – immorality, fighting, jealousy, anger that leads to using harmful words, an unforgiving spirit, bitterness, shouting, insults, hateful feelings and so on (see Ephesians 4:20-32). Paul tells us that because the end will come sooner than we think, this makes a difference to the way we live our lives. If Christ was to come suddenly would he find us involved in "doing things that belong to the dark" or "walking in the light of the Lord". In a parable Jesus talks about the last judgement. The judges asks whether or not food was given to the hungry, drink to the thirsty, clothing to the naked, the sick and the imprisoned visited. He had come and had found some doing these acts of love, and others not doing them. And they were judged accordingly (Matthew 25). Peter tells us, "Your lives should be holy and dedicated to God as you wait for the Day of the God…. Do your best to be pure and faultless in God's sight and to be at peace with him" (2 Peter 3:11,14). What we say about being ready for Jesus’ return can also be said about being ready for the day when we meet Jesus face to face as we walk through the darkness of death with him. Just suppose you knew that you only had a few days to live. How would this change the way you see the world around you and the people in your life? I believe you would see everything differently. You would see the trees and the flowers with different eyes. The way you speak and react with your family would be different. You would be open and honest and the last thing you would want is to fight and argue. You would value your friends and your church in a new way. The saying that starts with "Life is too short to …." would have a new meaning. Life is too short to hold back love and forgiveness. Life is too short to not appreciate the people in my life. Life is too short to hold back doing whatever I can for Christ and his church. Because you know that you only have a short time to go you would experience Christ and his presence in a strong and personal way as he lifts you up and gives you the courage to face the days ahead. You would see Jesus and his love for you in ways that you have never seen him before. There is no time for bad feelings or complaints about how others have treated you. The knowledge that the ends is near has reshaped your values and attitudes. Living in an awareness that Christ could return at any moment or that our life on this earth may suddenly draw to a close urges us to get our priorities right. We may not have all years ahead of us that we think we have to make time for Christ in our lives. So we are urged today by the apostle to make sure that we stop doing things that belong to the dark and instead walk in the light of the Lord. 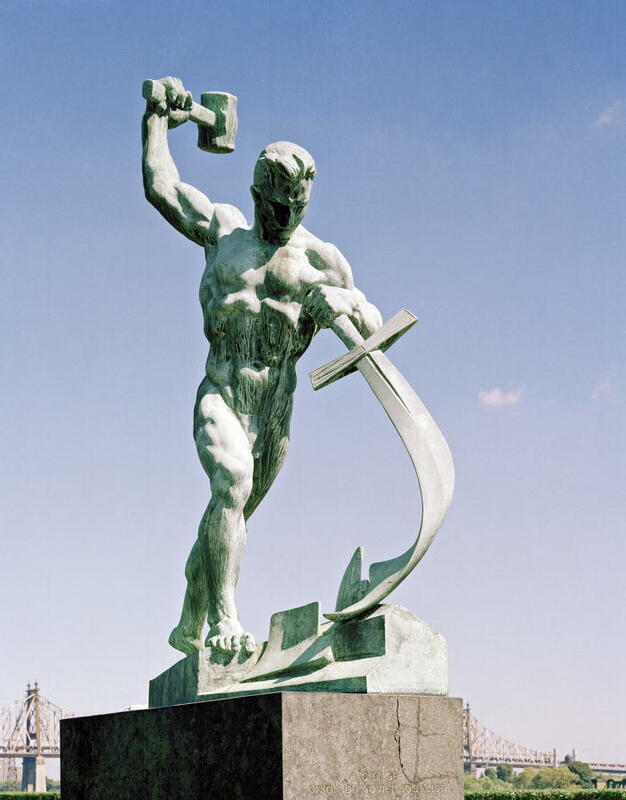 How are our lives being shaped – swords or ploughshares? Going back to Isaiah’s vision, we are told of a new world where humanity is shaped by God’s love – swords beaten into ploughshares. He describes how all people will come to his holy temple, into his presence and find a new way to live, find that it is possible to be reshaped, reshaped into his people who desire above all to walk in the light of peace, love, forgiveness and compassion. We are already involved in this reshaping process. Jesus began working on us through his life, death and resurrection and began to reshape our lives by filling us with his love and forgiveness. The Holy Spirit is continuing to reshape us every day – it’s a long and sometimes painful process but he will not give up until he has reshaped us into the people God wants us to be. He keeps on pointing us to the love that Jesus has for us; he keeps on forgiving us when we prefer the sword rather than love; he keeps remoulding and remaking us every day as he guides us to turn away from sinful ways, the ways of darkness and walk in the light of God. As we enter the season of Advent we are reminded of the process that is happening in our lives as he reshapes us to be his chosen and called people. As we begin this journey through Advent, the words of today’s readings invite us, call us, and offer us the opportunity to be reshaped by God as we wait and prepare for Jesus. With peace, and joy, and love, come Lord Jesus, come. Come now into our hearts and reshape us to walk in the light of the Lord. Amen.